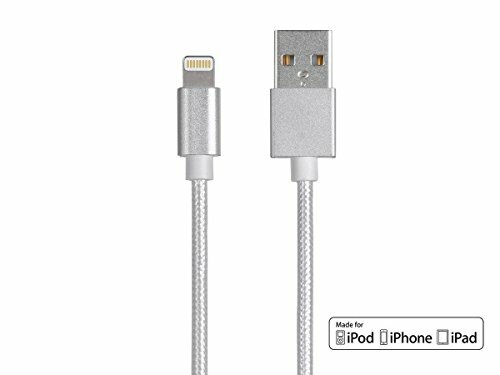 Iphone, Ipad USB charging cable. All you need to know about this charger is that it works great, it has a long cord, and it plugs in with a USB end. I bought a 2nd charger so that I can keep it packed in an overnight bag and dont have to try and remember pack my charger. I love my Apple products so I don't want to risk my battery running out. The cord is also made so that doesn't kink and is heavier than the regular cords. Samll price to pay for peace of mind.